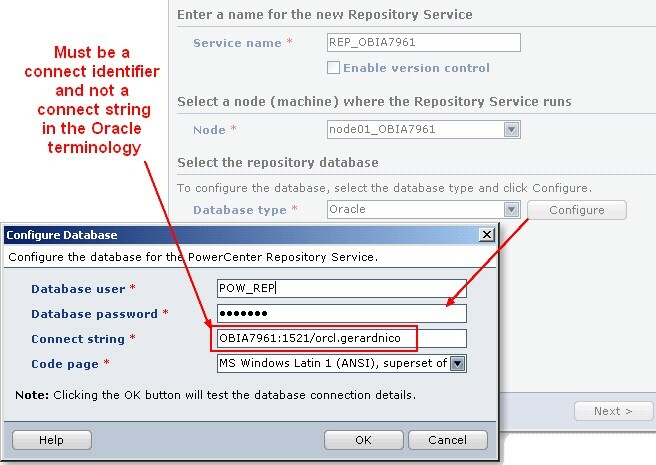 I have made it in the context of an Oracle Business Intelligence Application version 7.9.6.1 installation then it's why the computer name is OBIA7961. Select the language to install: English. Ok.
Next screen, I uncheck “Install Informatica Services with a different account user” because I will use it only on my laptop (ie PowerCenter don't need to go through the network to retrieve files). 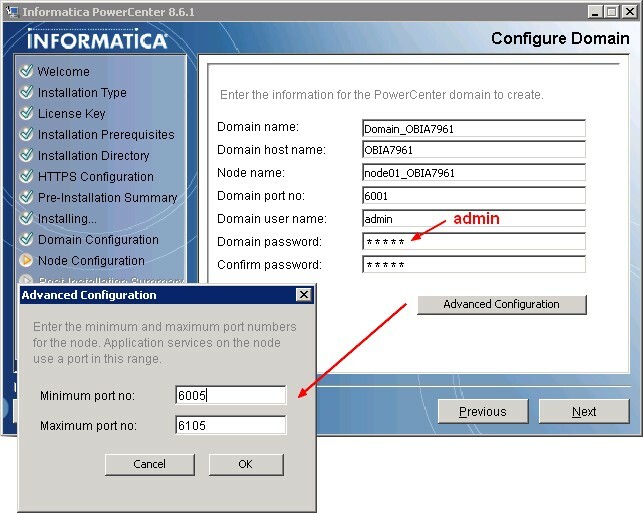 The repository configuration is no more a step of the installer as in the installation of powercenter version 8.1.1. A new repository and integration service are now created with the help if the administration console. See section below. Stop any Informatica services that are running. 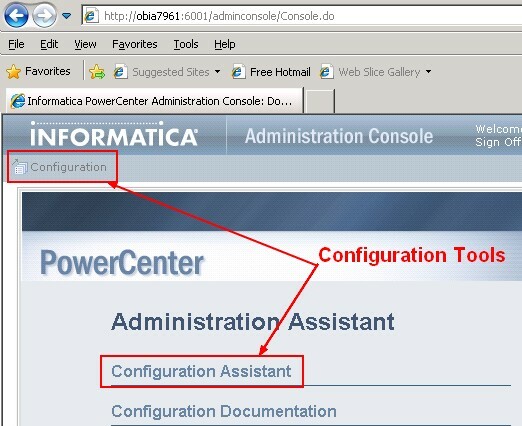 Start > All Programs > Informatica PowerCenter 8.6.1 > Services > Stop Informatica Services. Pre-installation summary. Hit the Install button. Start Informatica services. 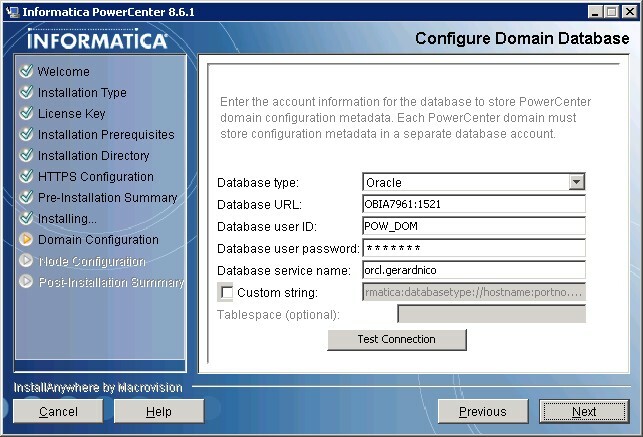 Start > All Programs > Informatica PowerCenter 8.6.1 > Services > Start Informatica Services. Login with the account given in the configuration (admin/admin for this article). Enter a name for the repository, click on the configure button and fill in the fields. You must enter a connect identifier and not a connect string. The connect string for Oracle contains the credentials. Integration service: fill a name in : INT_OBIA7961 and click next. The metadata manager console is not installed as in the installation of the version 8.1.1. The creation of the repository can take maximum 2 minutes. You can find valuable information in the installation and configuration guide (PC_861_InstallationGuide.pdf) delivered with the file2.